ELMER 2nd Edition Book Launch, aka We Got Some Loot! Some people have asked me why I didn't cover the TRESE booklaunch last week on The Comics Cube!, as it had a gigantic turnout. The answer is simple: I was late and caught almost nothing but the signing, and therefore had pretty much nothing to report. But I was at the ELMER 2nd Edition Book Launch this past Saturday, October 15. ELMER creator Gerry Alanguilan was there, interviewed by Jiggy Cruz. You can pretty much listen to the entire podcast here (it goes back and forth from Tagalog to English), so I'm just going to highlight a few questions. At around the 15-minute mark, Jiggy asks Gerry if there is such a thing as a Filipino style of art. Gerry's response was that it was very distinct back in the 70s, but these days, it's hard to tell, especially as a Filipino, as it would take outside eyes to really make that distinction. Not having a "national" style isn't necessarily a bad thing, Gerry notes, in that perhaps having one would impose limitations on the artists, when the artists should really be free to explore their own styles. At the 20-minute mark, Danry asks Gerry if there are any plans for any of Gerry's older works to be published via National Book Store. Gerry says that WASTED would be something to consider, but he considers HUMANIS REX "one of the crap things" that he's done, so he'll only be making that available via print-on-demand. At the 21:11 mark, I ask Gerry what advice he would give to other komikeros to penetrate the international market as he has successfully done. 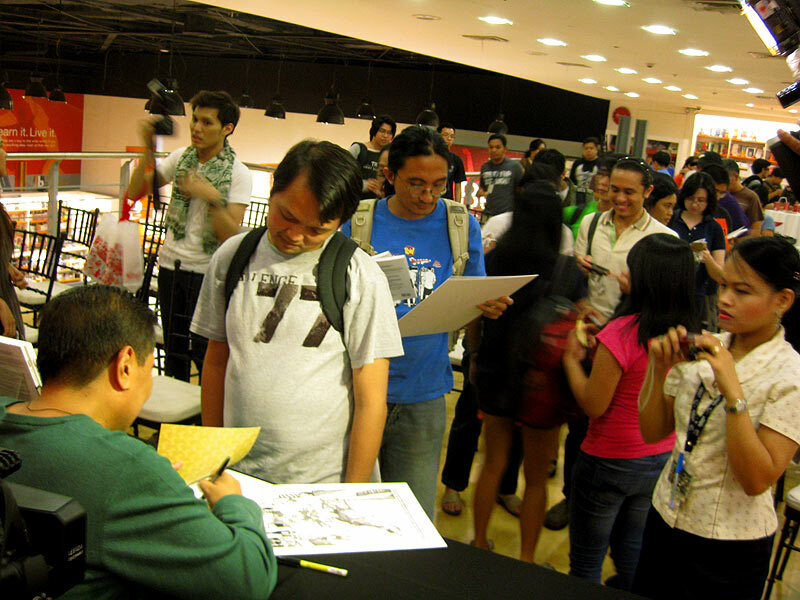 Gerry says that there is now buzz about original Filipino komiks, thanks to people like Andrew Drilon, and in fact, when he was at SDCC, he was giving away copies of TRESE to publishers to pique their interest. But as for further penetrating the international market, he says that he sees a lot of potential in our komikeros, but encourages them to hold themselves to even higher standards, as the international market will have really high standards. 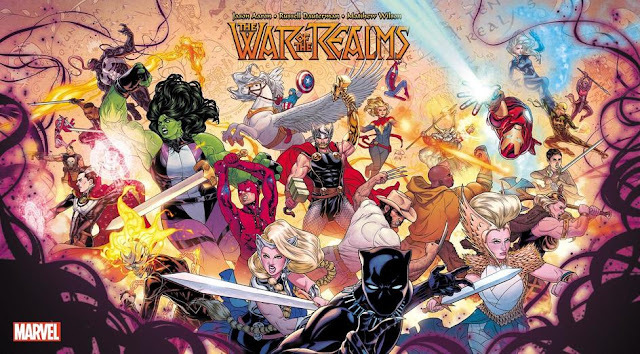 Gerry emphasizes not only the drawing, but also the storytelling, the drafting (the skill of putting down lines), the lettering — basically, the entire package — when he talks about holding higher standards. At 24:40, Peachy asks Gerry what his favorite part of doing ELMER was. Gerry responds with "the collection of all those experiences," starting from the writing right down to the publicizing and the events. The ability to create something out of nothing was the answer, and what Gerry called the purest expression of what he can do. At 25:57, a dude named Ronald asks if any particular book or comic influenced the creation of ELMER. 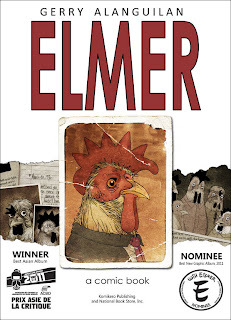 Gerry's answer was that ELMER was informed by everything that's ever passed his mind, and then talks about two comics that influenced ELMER on a technical level. One of them, Paul Karasik and David Mazzucchelli's adaptation of CITY OF GLASS, I expected, as I knew Gerry was a big Mazzucchelli fan and I could see the influence from the grid layout and the positioning of the word balloons and captions. The other, EPILEPTIC by David B., was not something I expected at all, and to be honest, I don't really see it. It'd be nice to ask Gerry about it one day. At 27:27, Peachy again asks Gerry a question, this one about the challenges he encountered while creating ELMER. Gerry's first example was the challenge simply of satisfying himself and his own personal standards. He then names the problem of distribution, being grateful for the events and conventions that help the local komikeros promote themselves. But the biggest challenge is still, to this day, convincing people that comic books can be art. Even though the Philippine government has been supportive of the medium as an educational tool, there isn't much support in the way of komiks as art. Gerry cited the lack of history books and museums. So hopefully, we will achieve that goal at some point. After that, we had a small raffle where Gerry gave away 10 Elmer T-shirts and 10 Elmer prints. Ben won a shirt, and Danry, Peachy, and I all won prints (Jordan forgot to enter). Funnily enough, I won the print that is Peachy's favorite page. Or at least, the page she saw two years ago that she used to convince me to buy the book. Then we had our stuff signed and I sauntered over to Gerry giggling like a fangirl. 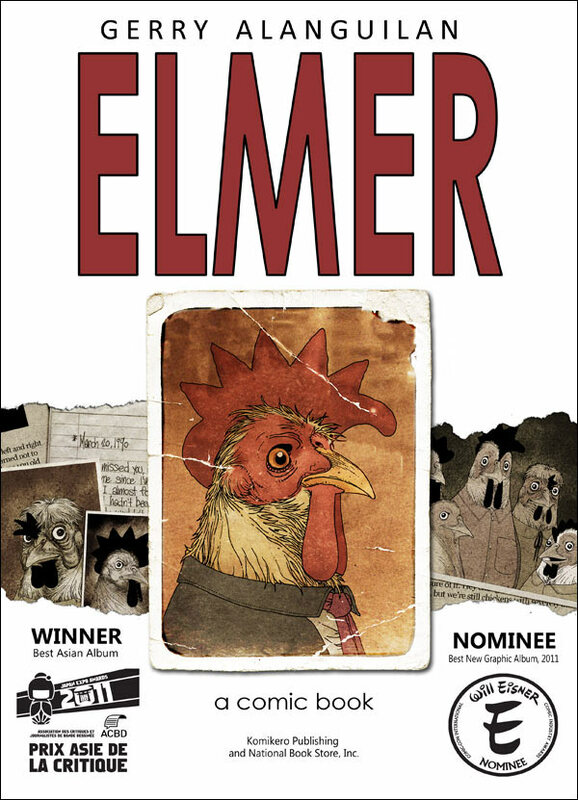 Read my review of ELMER here! Woo hoo! Thanks for coming guys!